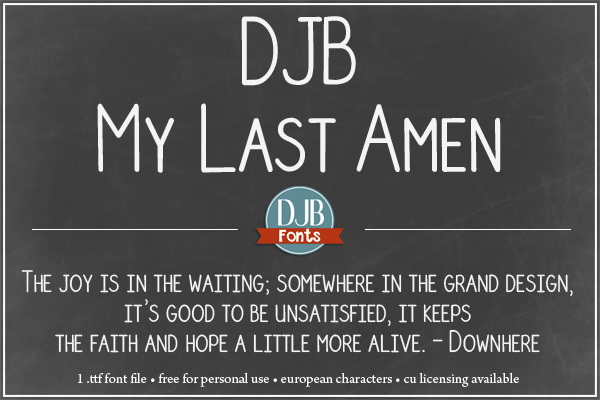 DJB My Last Amen font – my newest small caps font that is great for title work, web pages and more! If you would like to use this for your commercial/professional ventures, please purchase a commercial use license here. For your records, be sure to include the name of the font you are purchasing the license for. Alternatively, you can purchase it at Creative Market or get the webfont at FontSpring.